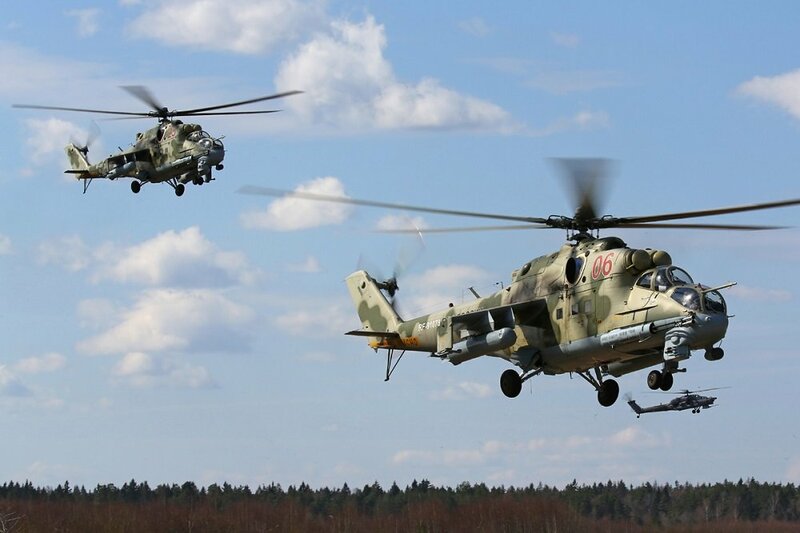 MOSCOW, the Russian Federation (BulgarianMilitary.com) – The speed of the current Russian fleet of combat helicopters is about to be boosted due to newly developed rotor blades based on advanced principles. The speed improvement comes as a result of the joint work of the member of the National Research Center “Zhukovsky Institute” – The Zhukovsky Central Aero-Hydrodynamic Institute (TsAGI) and the subsidiary of Russian Helicopters – the Mil Design Bureau. The information, for the new rotor blades, was reported today by the Russian news agencies citing the General Director of TsAGI Kirill Sypalo, learned BulgarianMilitary.com. Kirill Sypalo also revealed that one of the enhanced features that boosts the helicopter by ensuring it to fly at a greater speed, is due to the unique rotor blades profiles and their aerodynamic arrangement which reduce the effect of supersonic speeds arising at the ends of the blades. In general, the new helicopter blades are capable to reduce the negative aerodynamic effects of the classically designed helicopters that arise at high speed. The recently developed rotor blades are compatible with the existing helicopters designed by the Mil Design Bureau and according to the chief executive, given that a great number of such rotorcraft has been produced so far, Russia will have a completely new quality of combat helicopters after the replacement of the blades. Earlier, Andrei Boginsky, the Director General of the sole Russian rotorcraft designer and manufacturer Russian Helicopters informed about the company’s intention to offer the Russian Ministry of Defence technical solutions which will boost the speed of the helicopters currently in service with the Russian armed forces.